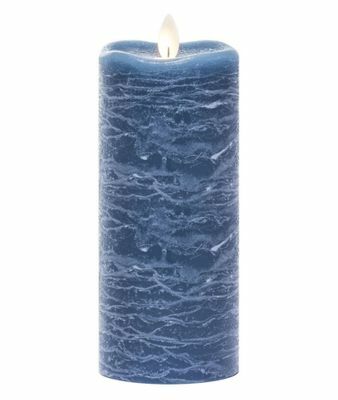 Battery Operated 7in Aegean Blue Pillar Candle - Mirage Gold LED Candle --- Enjoy the beauty of a real candle without any of the mess. Mirage pillars capture the essence of a real wick burning candle, emulating the dancing nature of the flame of a real wax candle. 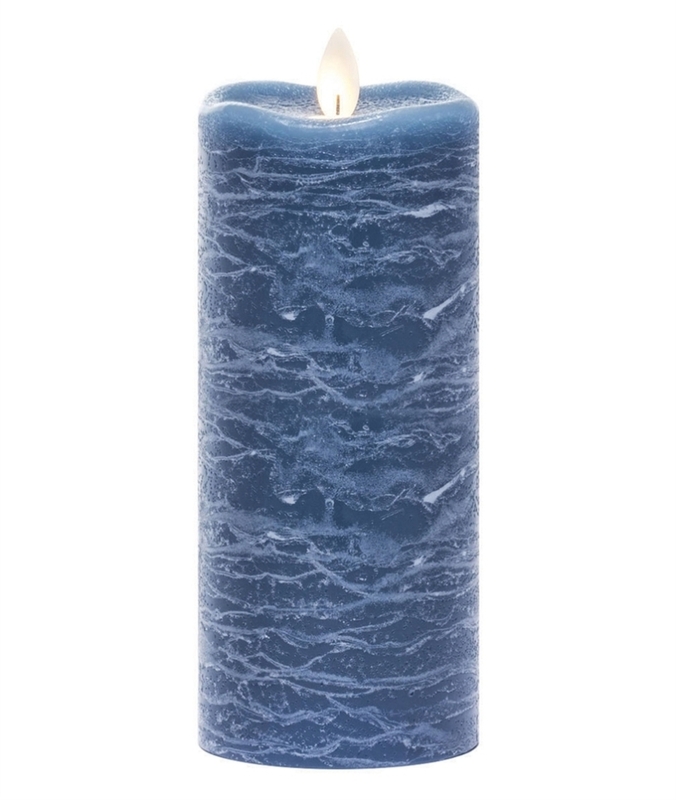 Mirage candles are made with 100% refined paraffin wax, it looks so incredibly realistic, you will try to put it out! 360 Degree view of Flame. Flame is viewable from all sides.